Surprise your special someone with a complete collection of love and romantic poetry from Ron Dailey, Novelist and Poet in Perry, Georgia. 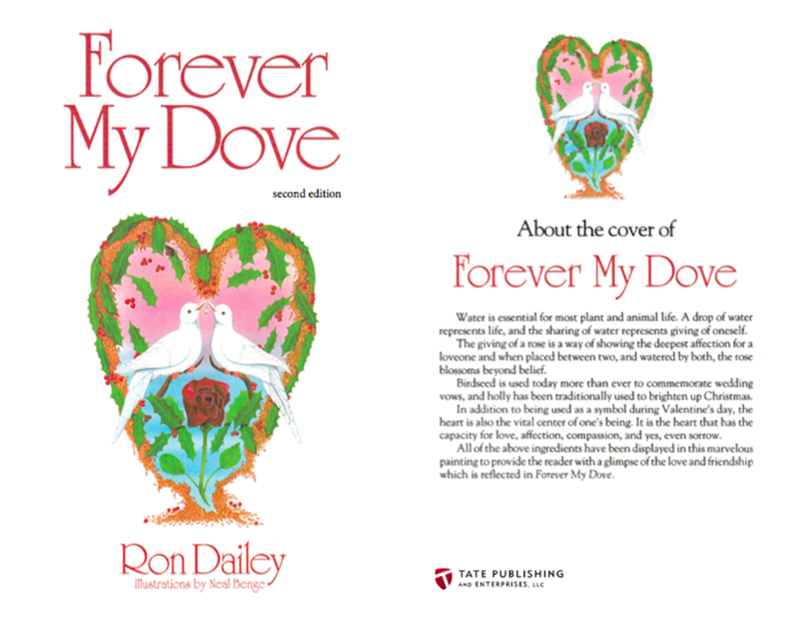 Soothing and uplifting, Ron’s love poetry book, Forever My Dove, is an ideal gift for your soul-mate or any cancer patient you know who may need comforting. This poetry book is nationwide, and Ron has received fan mail worldwide. So you’re love-struck, pierced right through the heart by cupid’s arrow. 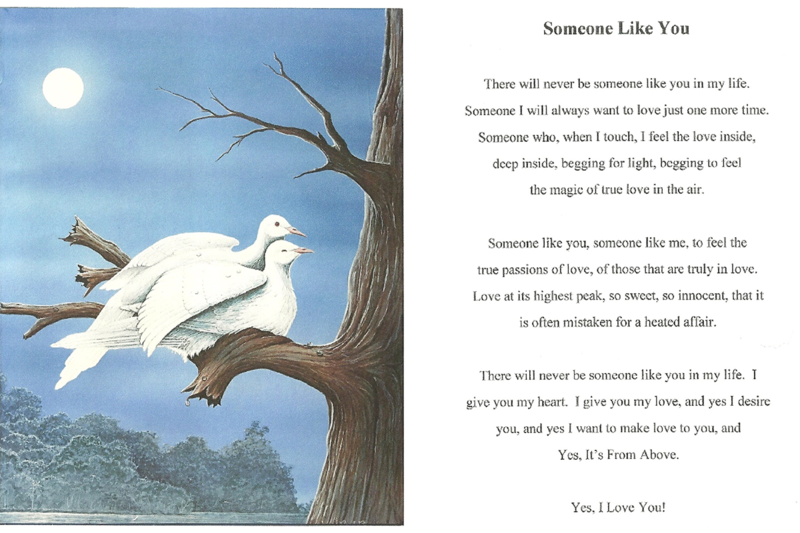 You need the perfect gift for this rare occasion to express your love and how you truly feel. You need a copy of Forever My Dove by Ron Dailey. This book makes the perfect present for a friend, a love one, Valentine’s Day, anniversary present, wedding day, or any other occasion. 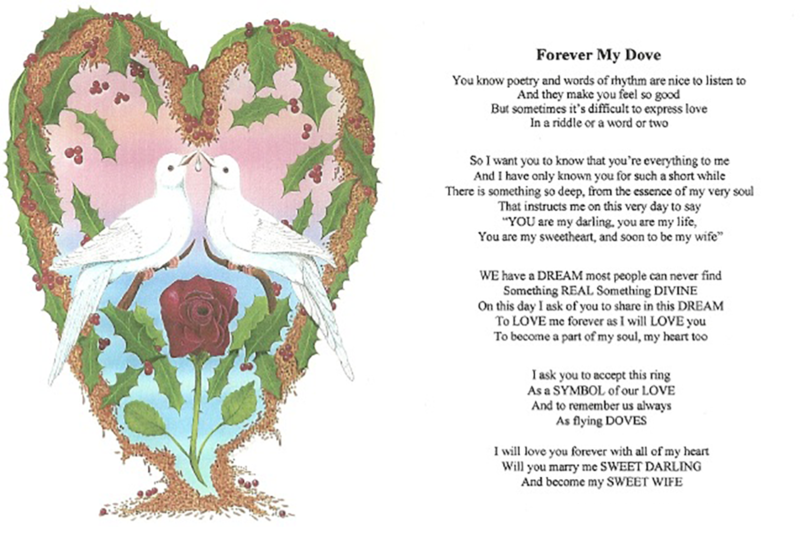 There is even a dedication page inside Forever My Dove so you can write a special comment to your true love or special friend, and this book has gone nationwide. 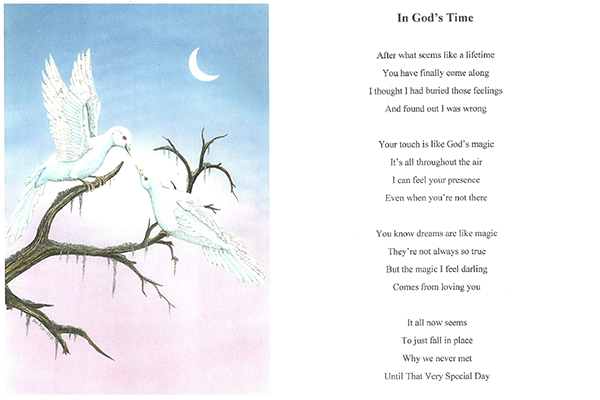 For promotional inquiries, book signings, or any additional information, please contact Ron Remember, Ron is the only novelist to write love poetry in all his novels, so while you are here you may like to browse his novels as well!